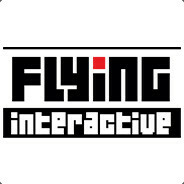 Flying Interactive is a digital video game company, specialised in working with indie developers. People swept mines for long years but now the game has changed! Welcome to Downbreak; the gravity based minesweeper. Experience a true classic reimagined with more features than ever! Uniquely presented as an hour long documentary film, The Mind of Marlo is a narrative driven adventure game focusing on love, loss and silly heads. Laugh and cry with Marlo as he gets to the bottom of his life changing condition, known as Spontaneous Silly Head Syndrome. Dragon's Lunch - the real time Roguelike game. Explore the depths to get your golf ball back, but be careful you don't end up as Dragon's Lunch! Divine Ascent is a strategy-puzzle game with simple but original and addictive rules. Ancient civilizations compete to be the first to reach the sky.